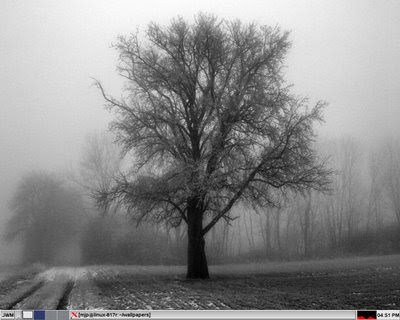 Joe's Window Manager (JWM) is yet another lightweight window manager that is excellent for those using Linux with an old computer. Several lightweight distributions use it as the window manager. At least SliTaz, Puppy Linux and Damn Small Linux all use JWM. JWM can very easily be used with any other distribution if the hardware is not fast enough for running a modern desktop environment with all the bells and whistles. 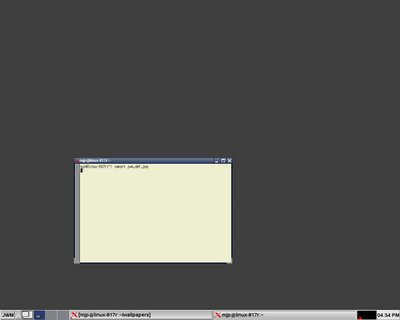 Unlike some other lightweight window managers, JWM includes a panel with start menu for starting applications, a pager for changing the virtual desktops, a taskbar and a clock. So there is no need for an external panel for making the window manager usable. The look is pretty classical and reminds me of the systems I used in the nineties, except that those operating systems did not support any virtual desktops! The default look of JWM is not especially pretty. But a nice wallpaper (I use feh for setting a wallpaper) can do miracles. In addition, I have tweaked the configuration file in order to make the font used for menus smaller and turned the outline mode on for moving and resizing windows. To tweak the configuration file, copy it from /etc/system.jwmrc to ~/.jwmrc. Edit it with any editor you like and save it after doing the necessary changes. In my system there was one absolutely necessary change to make: I had to change the original rxvt for xterm in order to be able to start a terminal session from the JWM menu. You'll find a lot more information about the configuration settings in Joe Wingbermuehle's web page. The wallpaper can be downloaded from from here. What is your favourite lightweight window manager to be used with an old computer running Linux? I use Fluxbox for anything older, and Xfce for anything above that. That's fine, but some people don't have the knowhow to configure fluxbox. jwm is a nice minimalistic wm for those who want a simple to use and simple to edit wm. I actually use DWM a lot, but it's not very user-friendly. I use it to maximize screenspace, not so much to minimize resource usage. I used to use xfce as a medium range wm but now I can't go past openbox with lxpanel. As for low range, jwm is nice and simple but for that reason I would only use it in the most dire of cases. For any other low end application, I would probably opt for icewm. dwm is a very nice and lightweight wm. I use it because it is tiling which means I don't need to waste time moving windows around.